*Ashok Sukumaran trained as an architect and artist, now does speculative technical and conceptual projects. This work explores the intersection of spaces of living, and technologies being ‘embedded’ within them. The technologies themselves range from imaging and distribution systems to transport and other infrastructures. He is interested in the thresholds of visibility, distance, administration and doubt that we encounter within these. The projects themselves are an adulterous mix of software-based art, conceptual practices, telematics, early and pre-cinema, site-based performance, and architecture . With this approach he tries to bring, often with others, a broad range of thinking to “new media ” conceptions of virtuality, networks and participation. His work has received numerous awards, including the first prize for the UNESCO Digital Arts Award 2006, a Golden Nica at the Prix Ars Electronica 2007, and the Jury Prize at the 2009 Sharjah biennial (as CAMP). The presentation broadens the analysis of waste to speak of cultural remainders in a more comprehensive sense, including populations that exist (and have to subsist) at the margins of the official city in Brazil, often through acts of reappropriation generally considered piracy or “stealing garbage”. To reflect on waste is to think of it beyond cycles of consumption, as an integral element of cultural processes. Such reappropriation is central to the informal economies whose control evades the cybernetic approaches to governance, and whose cultural logic offers a counter-rationality to dominant processes of consumption. Garbage is a strong element of informal economies, and its mode of production and distribution operates through fragmentation, occurring in the interstices of the city or in an ephemeral manner in order to escape surveillance. Strategies of evasion and the fluidity of the market of illegal goods, the ephemeral appropriation of space by street peddlers, by garbage collectors and inhabitants of residual spaces offers a broader view of a dynamic of info-technological appropriations that is not restricted to groups in the “favelas” (Brazilian slums), but also include tactical media, political activists, or the terrain of digital media such as Internet and mobile telephony that is organized by projects as Pontos de Cultura (Ministry of Culture, Brazil) and the Atelier-labs proposed by professor Etienne Delacroix. * Raquel Rennó (Brazil, 1972) Postdoctoral fellow at Mackenzie University, member of the International Center for Info Ethics (ICIE, ZKM, Karlsruhe) and the Institut Català D´Antropologia (ICA, Barcelona) and the Scientific Comitee of FILE (Festival Internacional de Linguagem Eletrônica, Brazil). Holds a PhD in Communication and Semiotics. Has been working since 2001 in digital art projects with artists from Spain and France and presented pieces at ZKM, ACM Multimedia, BIACS (Bienal de Arte Contemporaneo de Sevilla), Matadero Madrid among other art centres. Has published a book in 2006 intitled “Do Mármore ao Vidro –mercados públicos e supermercados, curva e reta sobre a cidade” analising the urban space as a medium and has presented papers and projects at UCSD (University of California, San Diego), Plymouth University, Universidad de Buenos Aires and Sussex University. Currently is part of ZZZINC, a cultural association for cultural innovation and research in Barcelona, Spain is a consultant at Digital Art and Culture courses at the Universitat Oberta de Catalunya (UOC). The Village Telco is an initiative to build a low-cost open source community telephone network hardware and software that can be set up in minutes. It is aimed to deliver affordable telephony anywhere in the world. For millions affordable access to communications remains elusive either because they live in remote areas where mobile telecommunication operators have not reached or because the available access is too expensive. The rapid spread of mobile phones is remarkable. However in many parts of the world high call costs mean that people have to make hard choices about when to use the phone. In Africa the average person spends more than 50% of their disposable income on mobile services. Open Source telephony software combined with the latest wireless meshing networking technology creates the potential for people to operate their own community phone systems. The mesh network operates on unlicensed Wi-Fi spectrum and amplifies and extends signals using connected nodes, or ‘potatos’. It is primarily geared to carry voice, but will also allow data access. While designed for the developing world, the Village Telco has application anywhere where people wish to take control of their own telephone and IP infrastructure. The Village Telco Project is the fruit of philanthropy by global cooperation. It began in South Africa about 18 months ago, thanks to sponsorship by Mark Shuttleworth, who founded the Ubuntu Foundation. The team includes hard- and software engineers from South Africa and Australia, network experts in Berlin, a hardware manufacturer from China, about 30 other contributors located across the world and of course hundreds of unknown volunteers who give their time to help “at a moment’s notice”. * Juergen Neumann started working with information technology in 1984, and since then has been looking for ways to deploy ICT in useful ways for organizations and society. As a consultant for ICT strategy and implementation, he has worked for major German and international companies, as well as on many non-profit projects. Besides his professional engagement, in 2002 he co-founded http://www.freifunk.net, a non-profit campaign to spread knowledge and social networking about free and “open’ networks” — a campaign globally regarded as one of the most successful grassroots community projects in this field. Then, frustrated from reflashing hundreds of wireless access points over the past years, in 2007 Neumann initiated the Open Hardware Initiative — an alliance of activists lobbying for open source hardware at the sidelines of both eastern and western hardware industries. In 2008, he co-organized the first Open Technology Summit in Taiwan. Besides his job as CEO of a private consultancy company, his recent activities include digging deeper into the possibilities of manufacturing open source(d) hardware and chip designs as well as lobbying for new and more open licensing models for the radio spectrum at http://www.openspectrum.eu. The Project Pasa la Voz – Voice for Indigenous communities supports the indigenous communities in the state of Oaxaca in Southern Mexico developing community radios. The indigenous people living in the remote villages in the mountains of Oaxaca are often isolated from the mass media; the radio, tv and mobile signals seldom reach over the mountains and the newspapers are not distributed to such remote areas. 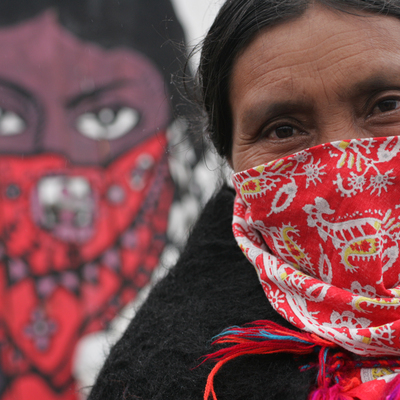 The issues relevant to the indigenous communities are virtually absent from the Mexican commercial media. 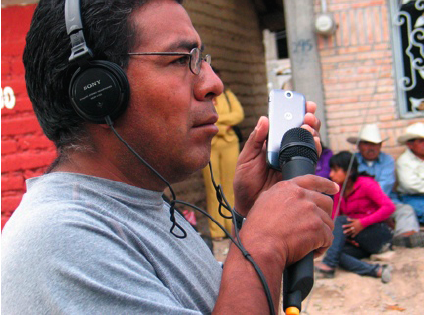 Through the community radio the indigenous people become the subjects of communication. Community-based radio is an accessible media which allows the villagers to distribute information, raise awareness of their rights, and to promote their own language and culture. Community radios are being used in creative ways to help to solve day-to-day concerns, strengthen the indigenous people’s identity and as an entertainment. The project Pasa la Voz is administered by Kansan Radiolitto (People’s Radio Organization), a grassroots and community radio station, in Finland. The main financier of the project (2008-2010) is the Ministry of Foreign Affairs of Finland. The Parish Union of Helsinki also financially supports the project. * Milja Laakso (MA Scc) has been involved with the Project Pasa la Voz since 2008, taking part in various actions to raise awareness and funds for the project in Finland. She has studied and worked in Mexico for nearly three years and her Master’s thesis was related to the democratic processes in Mexico. At the moment she works with Save the Children Finland. Signals from the South is an ongoing project of Pixelache that seeks to bring cultural projects (art, activitism and other) from‘the South’. In the past this project has focused onSouth America, Africa, Asia, and even Estonia, and has featured a wide variety of art exhibitions, installations, residencies and seminars. Let's commemorate the Resistance Monument that was never realized in Coroa Vermelha, Brazil by creating a digital memory that is acceccible online! This call for open and collective project is part of Mikko Lipiäinen'sPatxohã Tech process.